Home>New Mixtapes>Smoke DZA Mixtapes> Smoke DZA Teams With 183rd On "Ringside 7"
It might be Tuesday but Smoke DZA let everyone know that Monday Night Raw isn't over just yet. 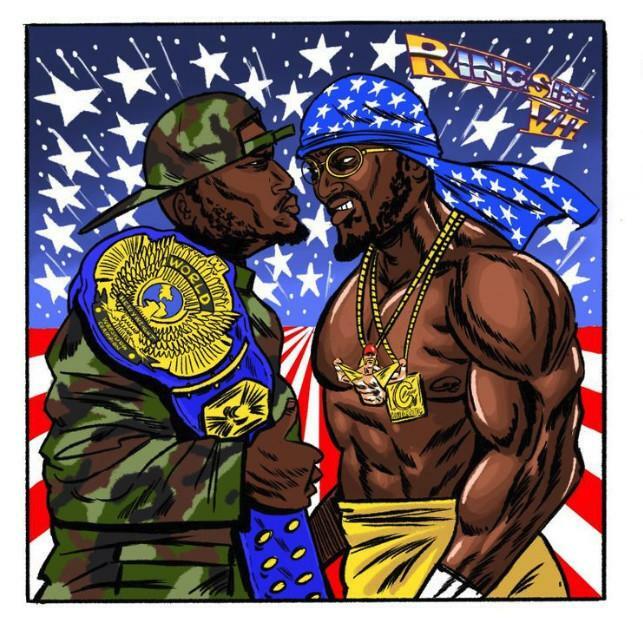 DZA teams up with 183rd for his latest installment in his Ringside series. The rapper released Ringside 6 a year ago, yesterday, and blessed fans with Ringside 7 to mark the anniversary. The four-track project was entirely produced by 183rd who's teamed up with Smoke DZA for the mixtape series. Ringside 7 serves as DZA's fourth project in four months and his second project with 183rd this year. The two linked up on Uptown which arrived in January. DZA followed it with Prime Location Vol. 1 in February and Two Packs with Pounds in March. Keep your eyes peeled for more new music from Smoke DZA and peep Ringside 7 below. MIXTAPES Smoke DZA Teams With 183rd On "Ringside 7"